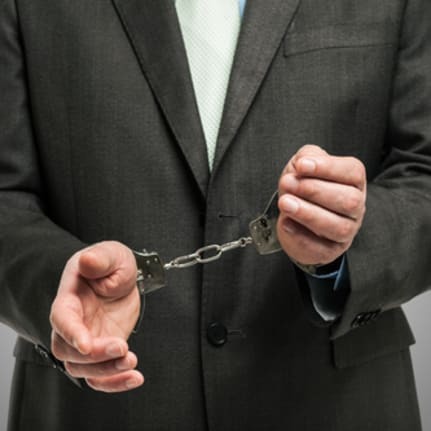 Would spousal test shame potential white collar criminals? In her recent article, Times journalist, Alexandra Frean discussed the works of Professor Soltes and his book on the subject of ‘white collar crime’. Over seven years, Soltes carried out 50 interviews in an attempt to understand why supposedly upstanding professionals commit the crimes they do. In contrast to what many may believe, Soltes found that greed was very rarely the key motivator. Instead, he found the distance between the criminals and their victims – in terms of psychological as well as temporal and physical distance – creates a complete inability for the white collar criminals to feel empathy. In turn, this lack of empathy and understanding of their wrongdoing is quickly replaced by outright denial. Of those guilty of ‘ponzi schemes’, both Allen Stanford and Bernie Madoff are clear examples of this sense of denial. Whilst Stanford - who was found guilty in 2012 - blamed the regulators for his bank’s collapse, Madoff targeted the court-appointed trustee after the death of his sons. A key idea throughout Soltes’ book is the promotion of the spousal test – a test in which once a year your spouse is given a full account of your behaviour at work. The Professor similarly promotes independent directors being given a key role in making senior executives examine their behaviour. From my time within the Insolvency & Corporate Recovery industry, I have dealt with a number of bankruptcies that resulted from white collar crime, and although my sample is much smaller than 500, I have noticed a number of similarities. Reinforcing Soltes’ thoughts surrounding denial, criminals will regularly talk about themselves in the third person as if they have a split personality disorder. I have often put this down to the stark comparisons between professional and criminal behaviour. By this I mean, the criminal behaviour shown by such people would not be displayed by someone with ‘professional’ values. Those criminals that talk about themselves in such a way often use phrases such as “they say I was…” or “they say the total is…” – but never a direct admission of wrongdoing. Furthermore, I have found that such outright denial could be because the criminals do not see themselves as criminals. The reason being that the money involved in the first instance is often small and they tell themselves that they will pay it back. Denial could also be attributed to the person’s perception that the act is victimless. An example of this is solicitors who have been found guilty of raiding the clients’ accounts of probate cases. As the owner of the money is dead and the money doesn’t belong to the beneficiaries, the criminal sees no victim from their act. From my experience, I would agree with Soltes in saying that clear cut greed is rarely the reasoning behind the crime. Instead, I found that a sense of ‘keeping up appearances’ was the trigger. A key example of this, would be the notion of taking children out of private school, which is often a complete deal breaker for those suffering financial distress. That being said, I do have doubts surrounding the Professor’s promotion of the spousal test. Many criminals in such a situation would not know how to ask their spouses to cut back on expenditure and the life they have been accustomed due to the fear of divorce being very much apparent.